Even when Gus van Sant was still making movies near its warehouses, the Pearl District has known First Thursday. 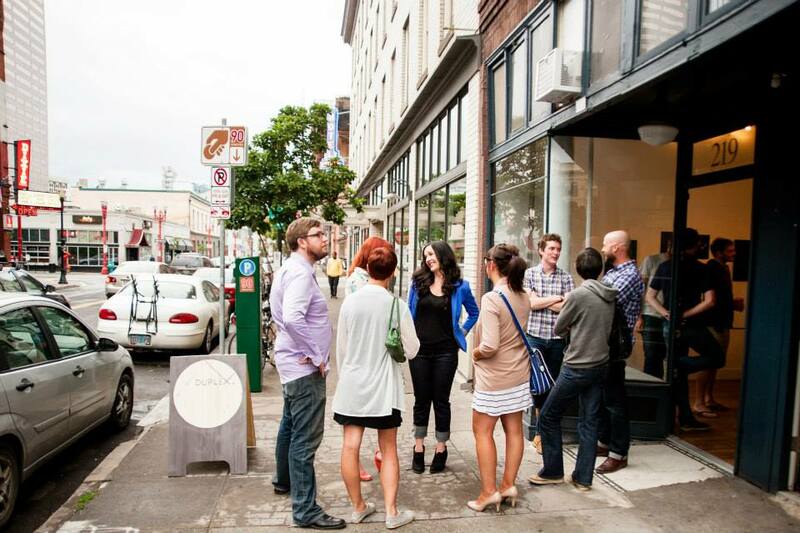 First Thursday has been a beloved Portland art scene tradition for almost thirty years. First kicked off in 1986, First Thursday has grown into an all day festival sponsored by over two dozen permanent or long-term galleries, featuring dozens of vendors and events. Whether you’re a diehard fan or a casual first time visitor of First Thursday, you’re sure to find something to love and take home. Painters, sculptors, photographers, musicians, entertainers, designers, and other medium artists gather for wine tastings from local vineyards; enter pieces in raffles and giveaways to First Thursday patrons; and host concerts, fashion shows, and art receptions. Entire blocks in the Pearl District are closed off to auto traffic, ensuring a safe, leisurely pedestrian experience. 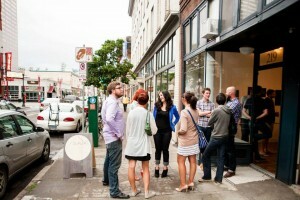 First Thursday holds typical Portland hours of noon to nine, with galleries rotating their curating hours, creating an even flow of art across the Pearl District. Portland’s downtown nightlife hub, Old Town-Chinatown, has become the go-to destination for late night gallery shows and parties outside the Pearl District. Indeed, numerous local businesses, restaurants, and nightlife venues run hours intended to enhance First Thursday’s celebration: drinks, dinner, or a show are all great ways to wrap up a day of art receptions. Naturally, after a long day and night out at First Thursday, Portlanders can awake and retreat into the afternoon to a favorite brunch nook, and rehash their past twenty four hour art immersion. Whether you’re a die hard or a first timer, First Thursday is an essential Portland experience, and an excellent introduction to the Pearl District.